How relevant are your site’s pages for your target audience? Are you sure you’re properly monitoring your content? There’re always too many questions when it comes to website governance, and we proudly continue to respond with just one word – SEMrush. Meet our new report. 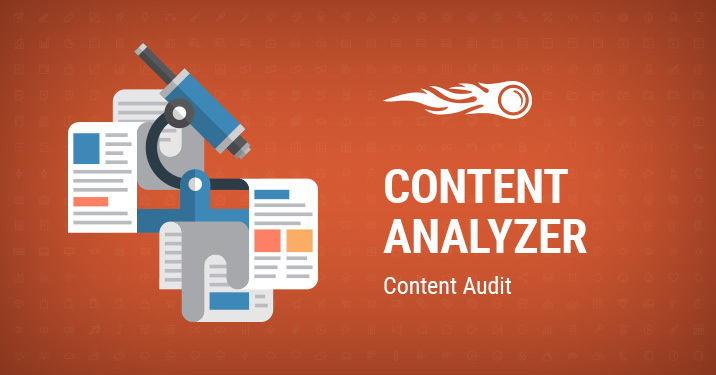 It is called Content Audit, and you can find it in the Content Analyzer. Now let’s see what’s so groundbreaking about it. Content Audit scans each page of your site and provides different analytical information on the content placed there. To monitor changes in metrics, use the Trends feature. By viewing and analyzing your site's metrics, you can easily reveal pages that are in ‘poor condition’ as we call it, and take measures to fix your articles and make them more relevant for your target audience, or maybe delete them completely.